On Saturday morning Cate, Sarah, and I set out to on the Friends for Life Bike Rally Training Ride. You can sponsor me here. Cate gets extra points because she did the ride still jet lagged and recovering from food poisoning, just back from her trip to Uganda, as part of the Nikibasika Development Program. She’s such a trooper. She also had a wedding to go to that night after riding. You can donate to the Nikibasika Development program here. We were doing the 82 km Finch-Kleinburg ride. On the bright side, it was my first ride this spring without significant wind. On the downside, hills! Usually I’m a fan of wind over hills. See Wind or hills? Pick your poison. But this spring, I’m about done with the wind. I keep telling myself that big spring winds are excellent training for summer riding. But that story only works for so long. And it turns out these hills are fun. So much I’d go back for more. But I’d pick a different route to get there, I think. Like, drive. Philosopher, feminist, parent, a good friend, a lousy cocktail party companion (I’m small talk impaired), reasonably well disguised introvert, adrenaline junkie, bike geek, energetic, organized, argumentative, vegetarian/aspiring vegan, member of a busy family, weekend athlete (cyclist, soccer player, cross country skiier, weight lifter, swimmer, sometimes runner–when not injured), lousy with a keyboard (I can spell, I just can’t type). I love theatre and loathe personal drama. I love the country and the city, the great outdoors and urban neighbourhoods. Rather predictably I hate suburbs, factory farms, cars, big box stores and strip malls. I am downright tedious on the evils of television, ring roads, fast food, and the over protection of children so best not to even get started on those subjects. Likewise, I am over the top enthusiastic about biking, our velodrome, Aikido, academic life, and the joys of living as part of a large, extended family with porous boundaries and long tentacles. Ontario passed a safe passing law two years ago. It requires drivers to give people riding bikes one metre of room when passing. We rarely got that on the main through streets in the suburbs of Toronto where the subway lines end. The bike rally training rides all start and end at subway stations which makes sense for accessibility reasons. Lots of city dwellers, especially cyclist city dwellers, don’t own cars. In the city I’m not so much bothered by close passing cars. Often in traffic I’m going faster than them and I’m the one passing. In the country I find most drivers respectful. They often move over and give you the whole lane when there’s no oncoming traffic. But the suburbs? Not so much. Both this week and last I’ve had fast moving cars come scarily close. They deserve tickets. Sarah cycled up to one car at a light and told the driver they have to give us room. It’s the law. There was also a lot of loud, scary honking for no good reason. Wish the police were out there ticketing. They need to be doing this. The one thing about the ride that I did love: rolling hills. OMG, these were fun. Not quite like this. But close. I love zooming down big hills and seeing how far I get up the other side. As a larger ride for whom hills are often the main reason I want to weigh less (see Fat, fit, and why I want to be leaner anyway) it’s not often I meet hills to my taste. But good rolling hills? Zoom! Whee! I rarely need to switch to my small chain ring on the front. I can power up and over without tiring myself out. And these ones were particularly car-free and fun. Here’s a more realistic picture of the Kleinburg hills. It’s from Dandy Horse Magazine. What else is in Kleinburg? The McMichael Gallery. Here’s another rolling hill image from their Group of Seven collection. So Sarah and Cate, it was a lot of fun chasing each other up and down those hills. Here’s my suggestion. Next time we drive out to Kleinburg and visit the McMichael Gallery. And then we ride our bikes up and down those hills and have lunch in Kleinburg. As I say in my post of tips for beginning riders, there’s no shame driving to where you feel safe to ride. Get a bike rack for your car: If you’re unsure about riding through town but love the idea of riding along country roads there’s no shame, when you first start out, in putting the bike on the back of your car and driving to the countryside. Park, get your bike off the rack, and set off. No one needs to know how you got there. There’s also a fitness issue in adding the ride out of town and back to your mileage. For beginners, there’s a big difference in adding the extra 10 miles on to your distance. Now, I think I’m practically home when I reach landmarks that I used to be proud to reach by bike but that’s after a considerable number of years. The bike rack also comes in handy later if you’re out on a ride and encounter problems and need to call home for a rescue ride. We’ve all been there and again, no shame. But also I’m angry at the conditions that make this necessary, that make cycling less attractive for people without cars. Drivers, please slow down and pass with lots of room. Police, please get out there and ticket drivers that don’t. There’s a lot of this sort of messaging about passing safely. And that’s nice and all. But it’s also the law. This is from England but the rules here are the same. And look, there’s a woman riding in the group! Okay, bedtime here. Night night! 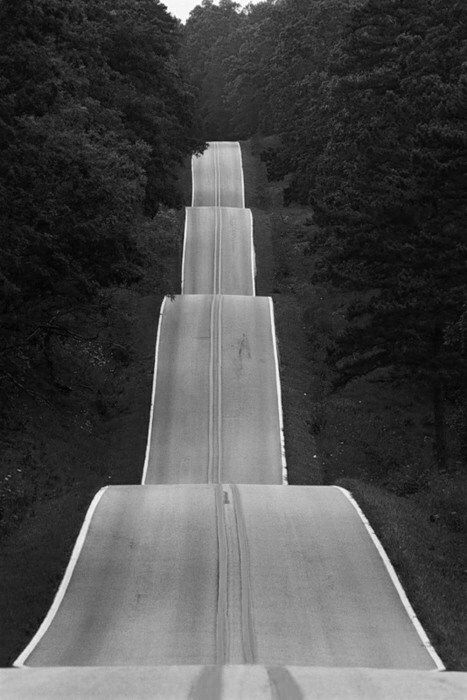 Love this — I also love the hills but hated about 75% of that ride because of the roads it took to get to the good hills. And then the hour it took to get home from the subway station, but that’s another story ;-). Thanks for playing with me ;-). We have cycled several times when in living in downtown Toronto …to Kleinberg, enjoyed the McMicheal art collection and back home by bike..it’s a 90 km. ride. 80% on bike paths through Toronto’s parks MUp pathway system, etc. It has been all possible. Bike paths, often multi use pathways, have their own safety issues. 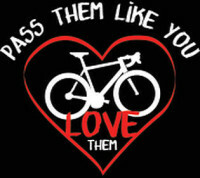 That’s especially true for large groups on road bikes. I’d like drivers to obey the rules and give us the space the law requires. It’s not too much to ask. Completely agreed. It’s very dicey to ride your road bike on a multi-use bike path unless it’s 6 am and there are no walkers. Groups of road-bikers who are traveling at 25 km/hour + are not at all suited for the kind of paths runners use and kids are learning to ride their bikes on. That’s when we started off cycling around 6:30 am or so. North of Don Valley, the use of MUPs in Toronto gets very thin, so not worth worrying about. If the intent is to power along over 25- 30 + km./hr., the whole way then MUP is not ideal. Can I be honest? I dislike cyclists that ride 2 or more across 1 lane. If we had stuck to just primarily streets and roads in Toronto to get to Kleinburg, I wouldn’t visited Kleinberg at all. What worries me more in the 21st century is distracted driving. I see enough drivers on the road, looking at their iPhone, etc.when I’m cycling.